In the Practice we aim to provide you with the highest quality of health care. To do this, we must keep records about you, your health and the care we have provided or plant to provide to you. Contact we have had with you, such as clinical visits. Relevant information from people who care for you and who know you well, such as health professionals and relatives. Discuss and agree with you what they are going to record about you. We will only store your information in identifiable form for as long as is necessary and in accordance with NHS England Rules found here. We use anonymous information, wherever possible, but on occasions, we may use personal confidential information for essential NHS purposes, such as research and auditing. However, this information will only be used with your consent, unless the law requires us to pass on the information. You have a right to privacy under the General Data Protection Regulation 2016 (GDPR) and the Data Protection Act. The Practice needs your personal, sensitive and confidential data in order to perform our statutory health duties, in the public interest or in the exercise of official authority vested in the controller, in compliance with Article 6 (e) of the GDPR and for the purposes of preventative or occupational medicine, for the assessment of the working capacity of the employee, medical diagnosis, the provision of health or social care or treatment or the management of health or social care systems and services, in compliance with Article 9 (h) of the GDPR. Your request should be made in writing to the practice holding your information. You will need to give adequate information (for example, full name, address, date of birth, NHS number, etc). To access your record, contact a member of the reception team, who will provide you with an application form, which you must complete. We will also ask for your ID for verification when you return the application form. If you think anything is inaccurate or incorrect, please inform the Practice, as soon as possible. Keep records about you confidential, secure and accurate. You ask us to do so. We ask, and you give us specific permission. We must do this by law. 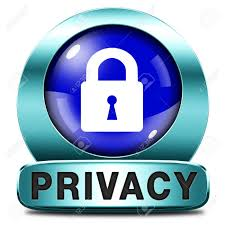 Anyone who receives information from us also has a legal duty to KEEP IT CONFIDENTIAL!! Information Commissioner, Wycliffe House, Water Lane, Wilmslow, Cheshire, SK9 5AF. Tel 01625 545745 Click here for their website. The Stable Fold Surgery operates a Zero Tolerance Policy on harassment, violence and aggression. Stable Fold pledges to treat patients with dignity and respect. Our staff have the right to be treated with dignity and respect in return. The practice operates a zero tolerance policy towards harassment and abuse of staff or patients, which include (but is not limited to), homophobia, biphobia, transphobia, racism, sexism, ageism, or harassment or abuse on the basis of disability, marriage, civil partnership, pregnancy, maternity, religion or belief. Stable Fold Surgery will support staff who wish to pursue legal action, where it is appropriate. Stable Fold Surgery believes in fairness and equality, and above all, values diversity. All staff have on going equality and diversity training and our equality and diversity policies are reviewed annually.